• Razor cut rubber outsole for added traction. 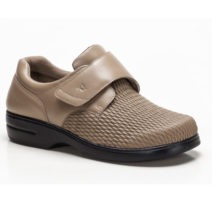 • Exceeds Australian slip resistant assessment standards (SRC rated). Testing with soapy water on ceramic tiles. Testing on steel floor with glycerol.